Is it possible that American and Israeli spy satellites are hovering in the space for keeping an eye over Pak-Afghan Border, Nato and US forces are also present there, not only Alllied forces but their trained thousands of personnel of Afghan National Army are also on duty on the border, so that terrorists from Pakistan can be stopped from entering into Afghanistan, while in this mission they have also support of US Drones murdering hundreds of innocent Pakistanis. Under such circumstances and measures more than three or four hundred trained, and well equipped terrorists cross the border in the presence of all these forces and attack check posts of an nuclear power i.e. Pakistan. Not only these terrorists had latest weapons but spare ammunition as well, after resistance from Pakistani defenders they cross the border safely to their safe heavens in US controlled Afghanistan. This is not the first incident, this has been going on since Raymond Davis was sent back alive from Pakistan and has been appointed in Afghanistan. Is this possible that these terrorists are not backed up or supported by US and Nato forces? Now lets see this incident in the reverse manners, if these terrorists had crossed the border from the Pakistan side and had attacked in Afghanistan on the check posts of occupant forces, what would have been the reaction of media? Obviously this would have jolted the whole world, this news had become “Breaking News” on all the international and local channels of every country. Such activity would had been considered as attack over a sovereign country (enslaved by Europeans is sovereign?) and suspected areas would had been destroyed by drones and air strikes. But what is the reaction to this activity, the terrorists who crossed the borders (Allies and their trained terrorists might be present among them), attacked the Pakistani check posts martyring 40 security personnel, 20 terrorists were killed in the cross fire while rest went back to their safe places under the control of Allies. However, as a nation perhaps this was not a big news for us otherwise there would have been some reaction. This does not mean that Pakistani people are not concerned with the deaths of their soldiers or they don’t take these militants as terrorists and their attack as aggression against Pakistan, they are aware that soldiers on these check posts were present there to save the country. So than what is the reason that such a big terrorist activity has been ignored in this way? What should public day, they are worried due to the increasing prices within hours, lawlessness and corruption of officials. On the other hand the poor situation in Karachi is also a cause of constant depression to the public, they are angry and sad what is going in Karachi, just in one year about four thousand persons have been murdered. The murderers cutting the throats of their own people do not know why they are torturing their own people to death, even this dance of death did not stop in the holy month of Ramadan. In contrast to this our rulers are busy in power game and conspiracies in spite of doing anything to stop these terrorist activities. The allies kept on playing the drama of leaving the govt. and returning back to the govt. The parties in alliance kept on blaming each other but no one dared to take any practical measures to stop death game in Karachi. The lust for being in govt. and looting country has been given the name of compromising policy. The people has been left to the murderers and terrorists and gangs. Now the situation is that not only in Karachi but in the whole Pakistan this demand is echoing that control of Karachi should be given to Pakistan army. Even those analysts and journalists who were against the role of army in politics are demanding that Karachi should be handed over to army. 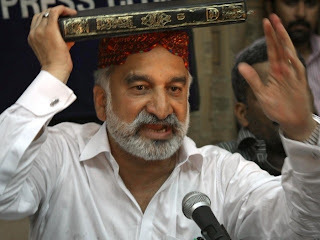 In such situation the provincial minister of Sindh and an important member of ruling party has created a storm in his two hour long press conference by taking oath on the Holy Quran. During his press conference taking sometimes Holy Quran on his head whatever he said and in what manners he said is too much serious. A separate mission should be made to investigate the allegations of Dr. Zulifqar Mirza so that 18 crore Pakistanis could be brought out of chaos. However if we say that this conference was the logical end of conspiracies going on between politics between politicians for being part of govt., a struggle to ignore deaths in Karachi in the name of reconciliation policy, this will not be wrong. But one fact disclosed in this press conference is of grave importance, i.e. the interest of America in disintegration of Pakistan and dissolving of ISI. This had worried every Pakistani. Because the allegations raised in the press conference are not the problem of struggle between two personalities, now this has become the problem of saving Pakistan. This situation demands a very serious attitude and formation of a comprehensive strategy to face American conspiracies. As the aggressive and enmity of US towards Pakistan, moreover activities of CIA, MOSSAD and RAW are not secret anymore. 1. 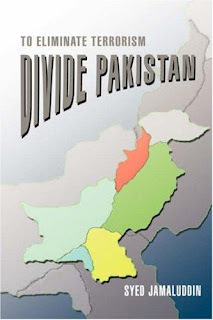 Regardless of the fact that advocates of Two-Nation theory have finally realized after half a century that the division of united India was not a good idea for international peace. There is a need to correct mistakes. India’s democratic strength for the best of 59 years had proved its existence was fully justified. 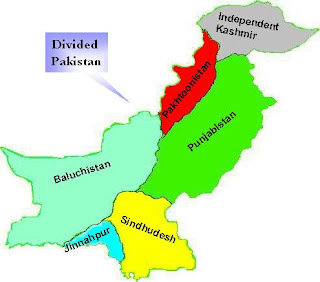 On the contrary Pakistan emerged as a failed state for a one single reason that a country which was founded by assembling almost eight different nations in the name of Islam, was unable to justify its existence. 2. The whole world has become vulnerable to terrorism. The question is who is masterminding such terrorism? Who is providing all possible support to terrorism? Who us creating terrorist minds? Who is threat to international peace? The answer is very simple… Pakistan! 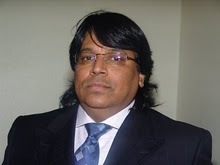 The author says thanks to India, people of East Pakistan who were harassed and tortured by Pakistan became an independent state called Bangladesh, in 1971, but what about rest of its provinces who are craving for independence but are suppressed by ISI and Pakistan Army. 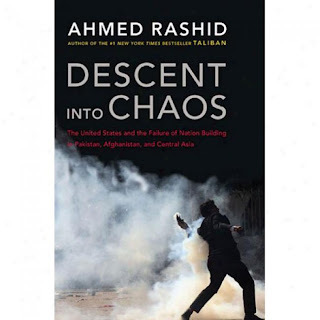 Before the advertisement campaign of Jamaludin’s book, the book written by Ahmad Rasheed “Descent into Chaos” has been introduced with full support of USA, India and Israel. The above mentioned single book was published by eight publishers with different title pictures. In this book Ahmad Rasheed has clearly blamed ISI for international terrorism, and extremism. Now one should ask such well educated and enlightened authors were Crusades sponsored or planned by ISI and Pakistan Army? Or the world wars were advised by ISI and Pakistan army, had these two institutions asked Europeans to fight against each other and drop nuclear bombs over Japan? 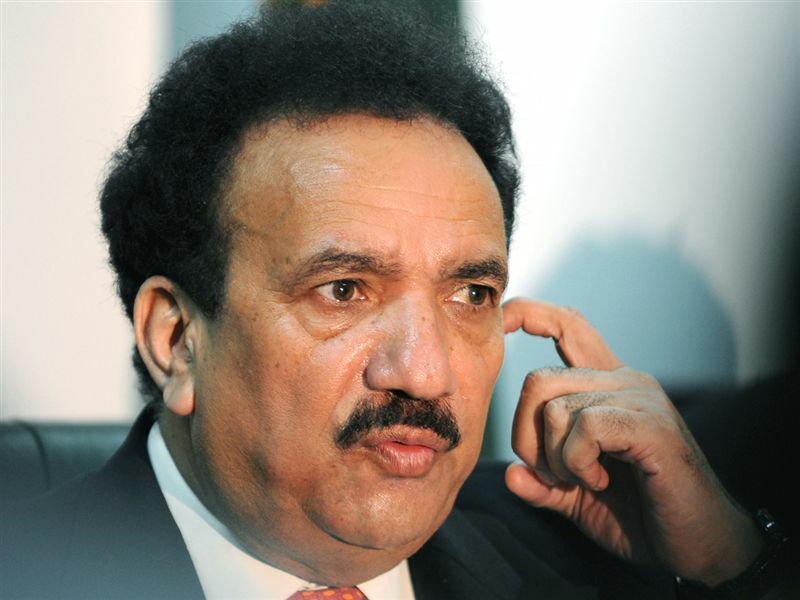 Had ISI advised Britain to capture whole world or enslave their (author’s) mother India? If not! Than what is that propaganda for? For how many dollars own institutions are being blamed because they are a hurdle in the way of the enemies?